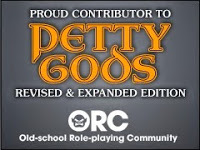 Today's Free GM Resource is another RPG game, served up one of two ways. 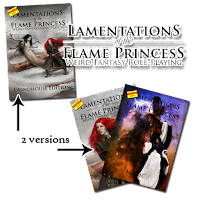 Lamentations of the Flame Princess is labeled a "Weird Fantasy" RPG and is available for only $5 at DriveThruRPG. If you're on the fence about the game you can check it out for free from their website. There are two different versions. The 1st, at the bottom of the downloads page, is the previous "Deluxe Version" and the other is the "Grindhouse Rules", with the latter just being an art-less version of the current rules. The Grindhouse rules is also a single book, where the Deluxe version is a few more pages spread out over two books. I've reviewed at least one LotFP adventure before and while I'm not sold on the system as a whole, I think it is definitely worth picking up to add in a few elements to your game. Of course, this pretty much works as a blanket statement from me.